A team of researchers in India have grown cardiac muscle cells from induced pluripotent stem cells on human amniotic membrane which has outperformed the commercially available gelatin-based 3D matrix substrate Matrigel. The amniotic membrane helped to promote differentiation and improved the spatial organization of cardiomyocytes. Following a heart attack, necrosis of tissue can occur which can lead to heart failure. Injured cardiac tissue cannot regenerate on its own but various techniques have been developed to promote the regeneration of heart tissue, such as the delivery of progenitor/cardiac stem cells to injured heart tissue or the use of synthetic patches or a combination of both techniques. Unfortunately, while these techniques can help, there is no particularly good treatment for repairing damaged heart tissue. Considerable research has been conducted on potential biological patches that can be used on patients following myocardial infarction to repair damage and promote the regeneration of heart tissue, although differentiating induced pluripotent stem cells into functional heart tissue is a major challenge. The research team in India have made significant progress using induced pluripotent stem cells derived from the placenta, which were grown on human amniotic membrane using growth factors to stimulate the cardiac differentiation pathway. As a control, the same technique was used to grow cardiomyocytes on a Matrigel substrate. The researchers analyzed the morphological and biochemical characteristics of both, along with gene expression and proteins related to different stages of differentiation into cardiomyocytes. The cardiomyocytes grown on amniotic membrane were found to have superior functionality in terms of mitochondrial organization and intracellular calcium transient frequency, had greater expression of protein markers, and better resembled mature cardiac muscle cells than those grown on Matrigel. Using this technique, the researchers hope to solve the problem of graft rejection by using individual-specific induced pluripotent stem cells and human amniotic membrane has the added advantage of modulating the inflammation process. 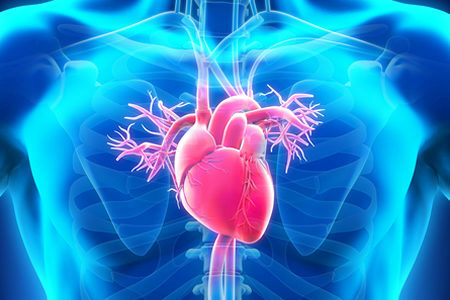 The researchers believe their cardiomyocyte sheets could be used as cardiac patches to treat patients following myocardial infarction and see their cardiomyocyte sheets as having many possible uses in cardiac research.